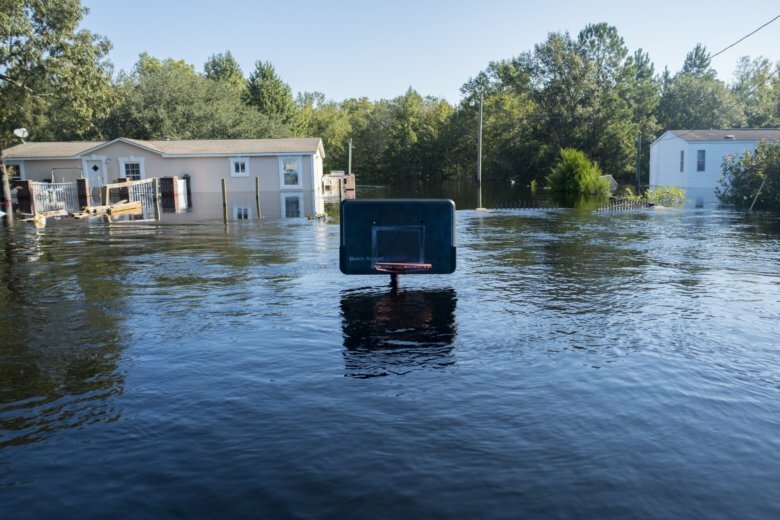 COLUMBIA, S.C. (AP) — People in South Carolina should be given more time to register to vote before this fall’s elections because of historic flooding caused by Hurricane Florence, according to the state’s top prosecutor. In a lawsuit filed late Thursday against the State Election Commission, Attorney General Alan Wilson noted that people currently must register before October 7 to vote in the November 6 general election. But officials need to extend that deadline by 10 days, he argued, because some voter registration offices and many roads are still closed due to flooding in some parts of the state. The powerful tropical system smashed into the Southeast seacoast as a hurricane Sept. 14, triggering severe flooding as it weakened yet nearly stalled over the Carolinas for days. South Carolina Gov. Henry McMaster ordered most of the state’s coast evacuated as the storm approached, closing state government offices in many areas for a time. Subsequent inland areas have been evacuated as communities have rivers swollen by rains and water flowing in from North Carolina have risen to perilous levels, causing road shutdowns and massive barrier projects to protect the roadways from being covered. Wilson, who also serves as South Carolina’s senior Army Judge Advocate as part of his National Guard service, was activated during the storm and briefly suspended his campaign for a third term. Wilson said that he wants the extended deadline to apply to both in-person and mail-in registration. Officials with the Election Commission didn’t immediately return a message seeking comment. There is precedent for changing voter registration deadlines after natural disasters. After Hurricane Matthew devastated parts of the Southeast in 2016, new voters were granted more time to sign up in Florida, South Carolina and North Carolina. A brief extension was granted for Chatham County, Georgia, after a lawsuit from the American Civil Liberties Union, but a federal judge refused to order a second extension. Kinnard can be reached on Twitter at http://twitter.com/MegKinnardAP. Read her work at https://apnews.com/search/meg%20kinnard.